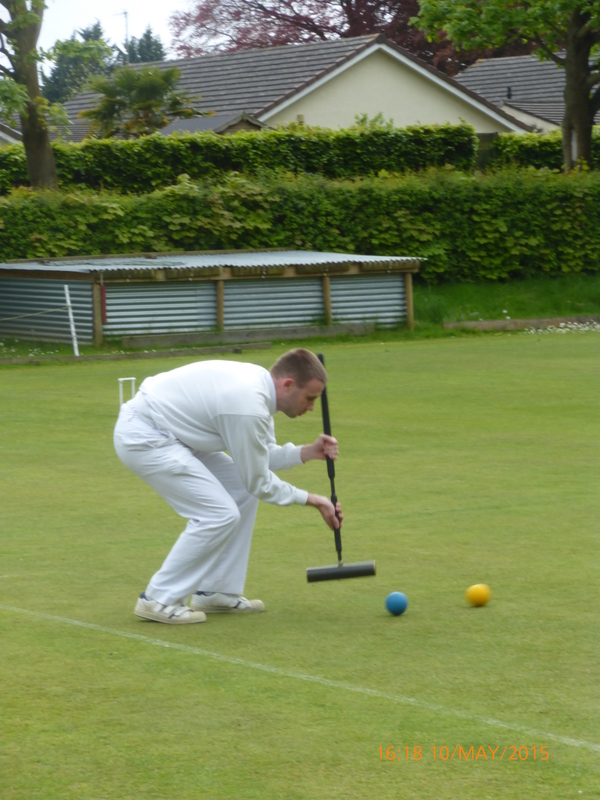 There will be plenty of opportunities in 2019 at Nailsea to learn about this fascinating sport and to try your hand with a mallet. On Sunday 19 May we will be holding an Open Day when we will also be raising funds for the Children’s Hospice at Charlton Farm in Wraxall. All equipment is provided – you just need to wear flat-soled shoes. 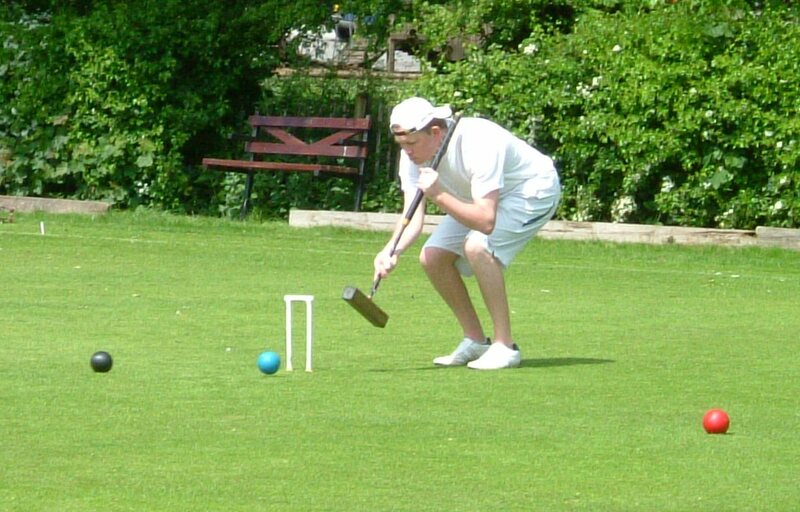 The Nailsea lawns are well maintained and provide a good surface for accurate shots. At the end of the 2017 season, we had major levelling work done to make the conditions even better. 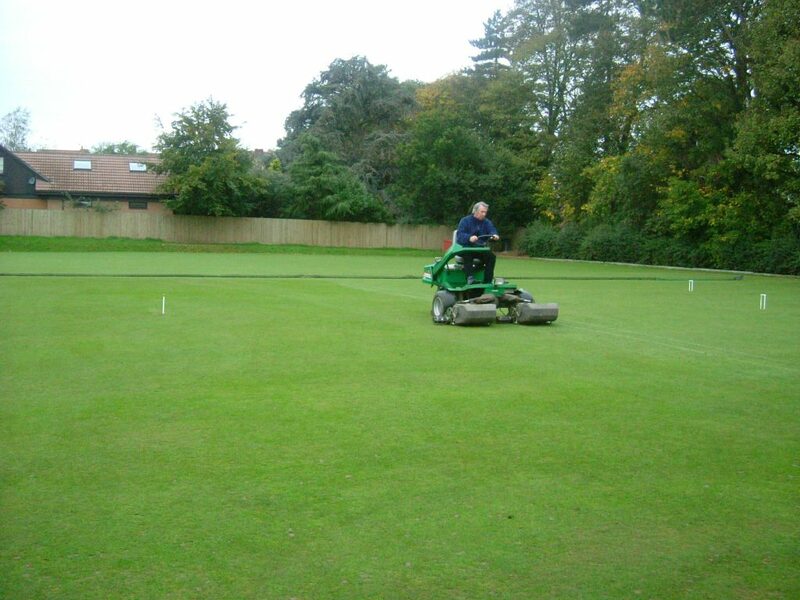 The weather in the winter was particularly cruel with the rain causing the lawns to flood just after the seeding had taken place. This caused major delays but the lawns re-opened in June 2018. The surface was still work in progress but we were playing again! The lawns have now matured and we expect them to be really good in 2019. 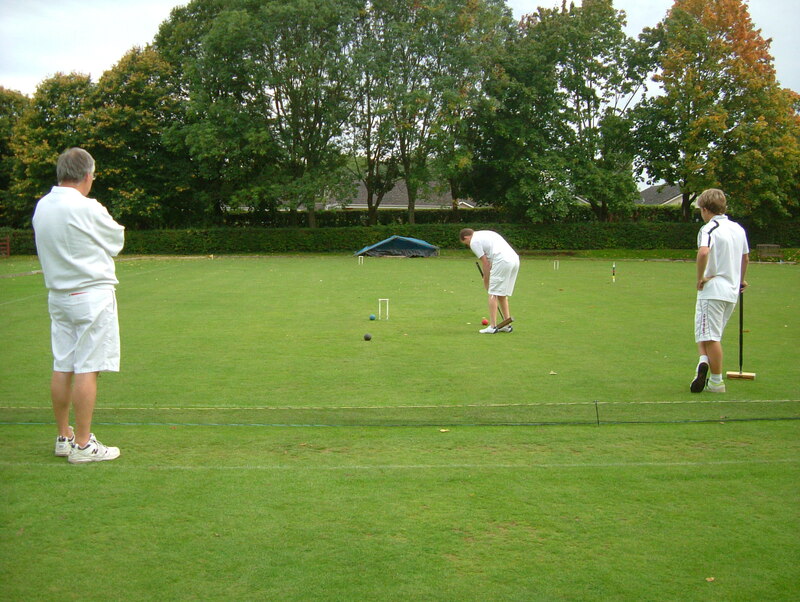 The Club has a reputation for excellence in competitive croquet and also for the friendliness to be found there. 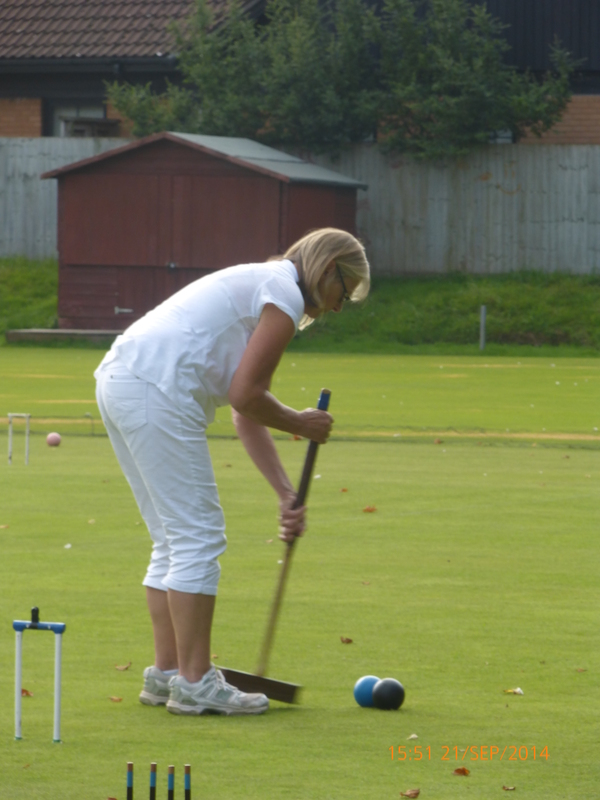 If you like ball games or mind games, croquet might be just what you have been looking for. You don’t need to be fleet of foot but you do need to have good co-ordination and to enjoy strategic thinking. Come and see for yourself. 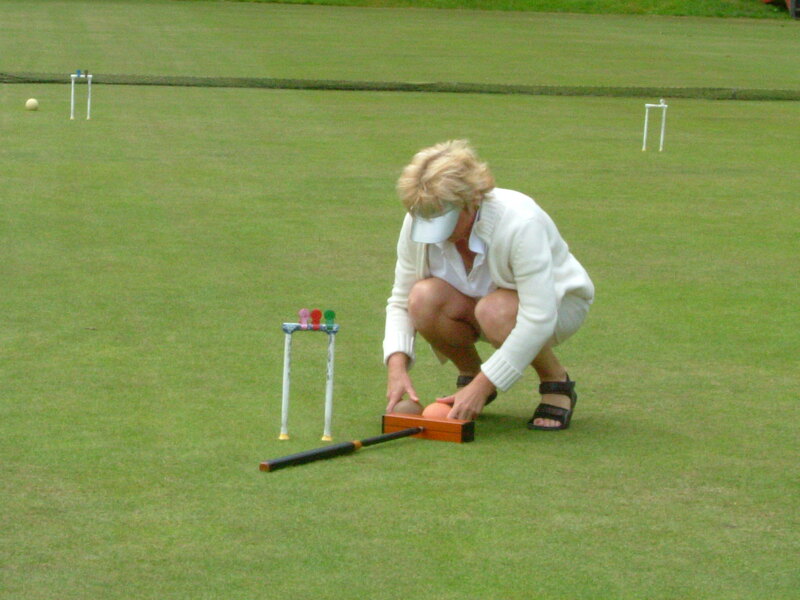 The Club members will be on hand to guide you and to explode some of the myths of croquet. You might meet Nailsea club members who have reached the final stages of World Championships in different parts of the world. 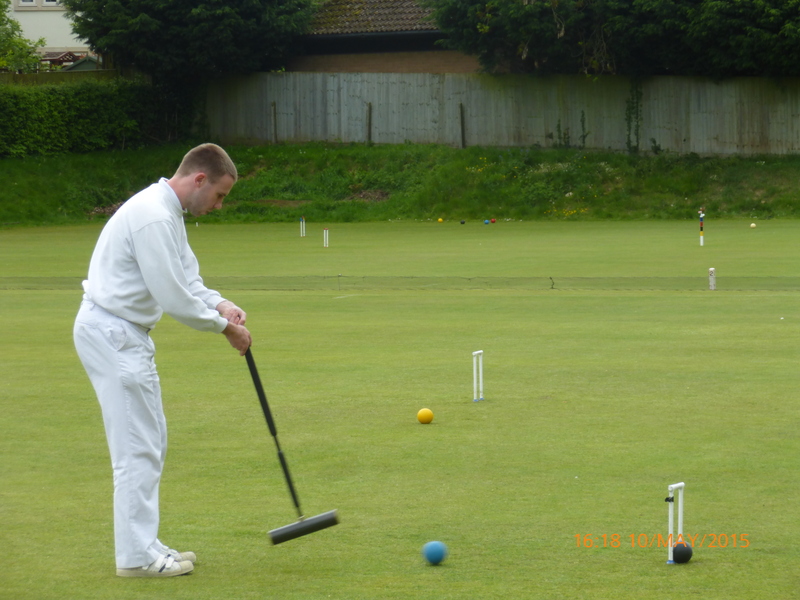 The current National Junior Champion may well be around as he is a Nailsea player and lives in Nailsea. 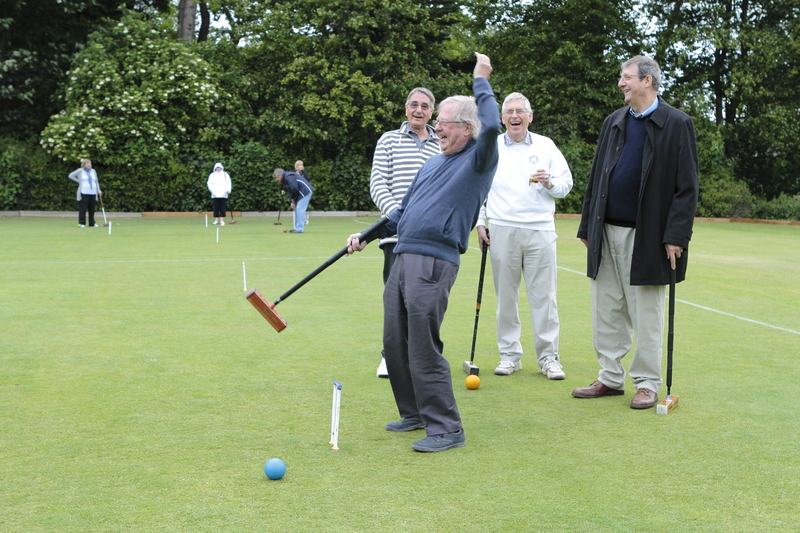 The photographs below show members and visitors enjoying this wonderful sport. 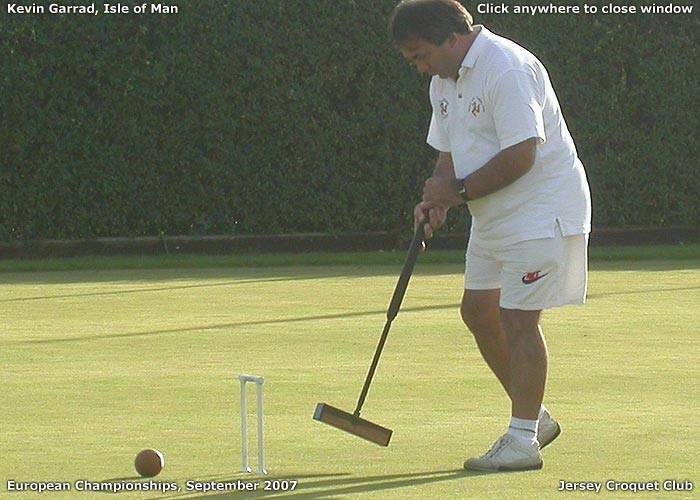 See the competitions section to read the latest tournament report. Having won the game and the tournament, Eugene poses with Greta, the runner-up. 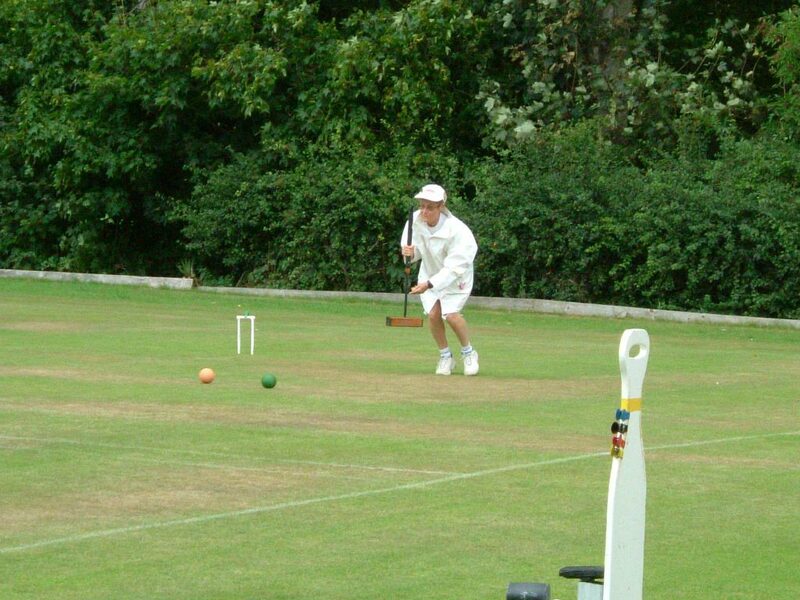 Eugene was aged 16 and relatively new to croquet. 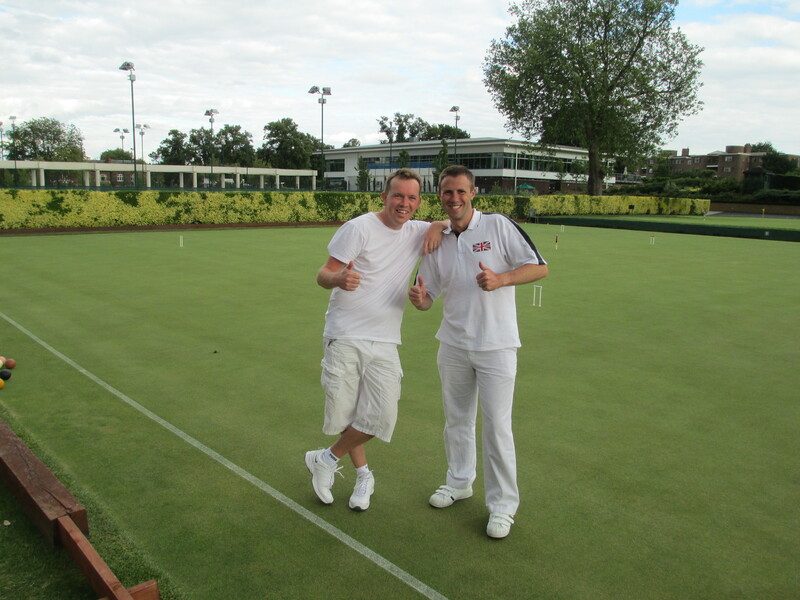 As this was a Handicap Tournament he was able to use his extra shot allowance to win against a more skilful and experienced player. 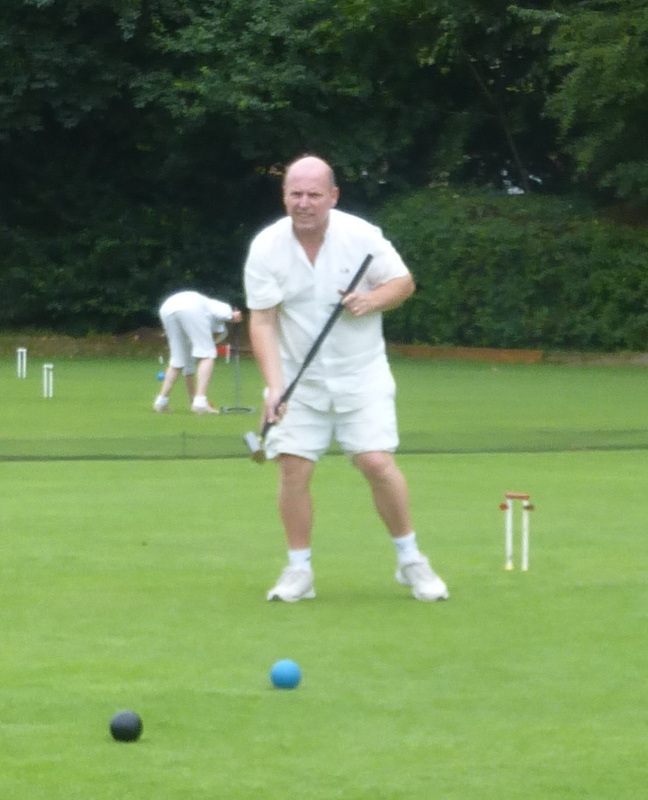 Eugene went on to compete at high level himself and has introduced croquet to the students at Sheffield University where he is now a researcher in the Computer Science Department. Linda won the game and the High Bisquers Competition. 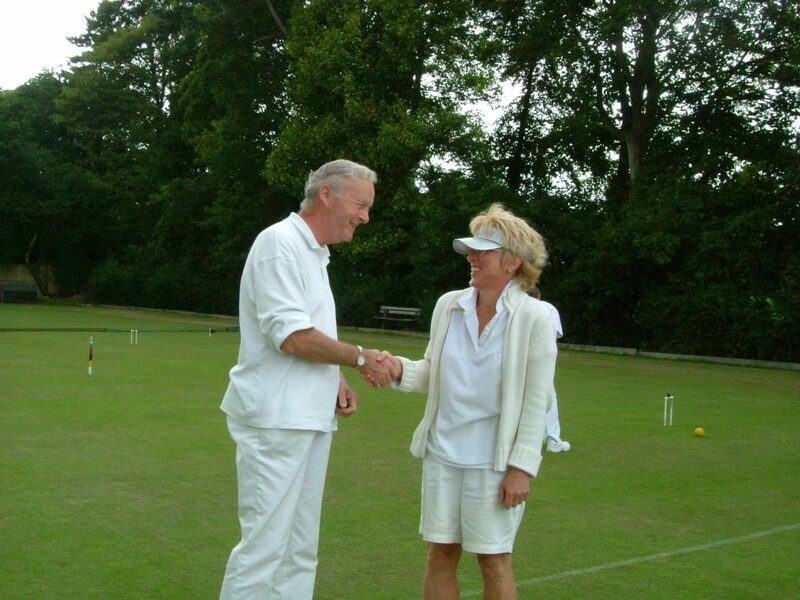 She shakes hands with her opponent, Jim, a gracious loser! Jo takes part in the Beginners’ Competition at the end of her first season. The sticks keep track of her extra shot allowance – she must use them wisely. Marcus in action at Nailsea. where he learned to play as a 13 year old. Marcus has played in World Championships all over the world, his greatest feat being a semi-final appearance. Tim Brooke-Taylor having fun at a charity event at Nailsea. 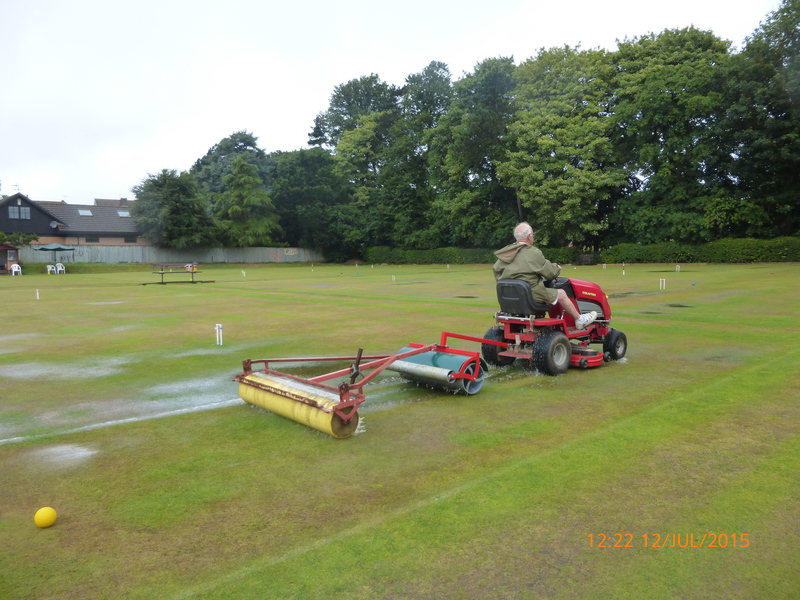 Geoff saved the day when the lawns flooded during a tournament following a torrential downpour. He donned his work clothes on top of his “whites”and manned the tractor towing the Sarel spiking roller and the light roller. The water was duly dispersed and the tournament continued. Geoff then won the trophy! 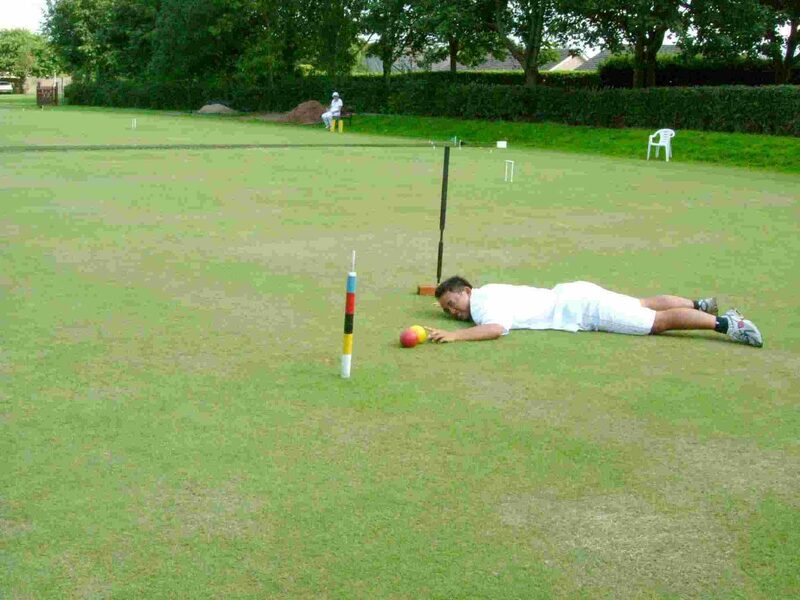 The photograph made it into the national Croquet Gazette – whose editor just happened to be playing in the tournament. Nailsea led the way again!